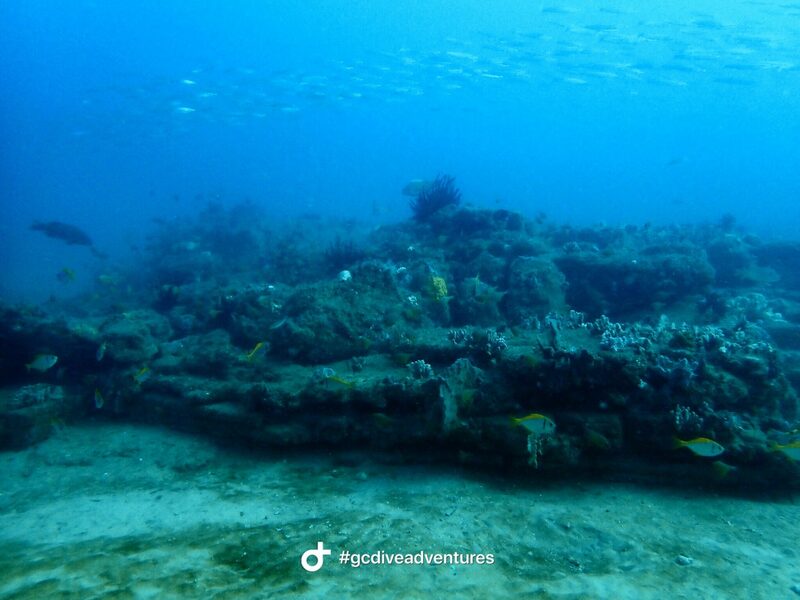 The Gold Coast has a variety of natural and artificial reefs as well as many shipwrecks. Most sites are close to shore but are only accessible by boat. 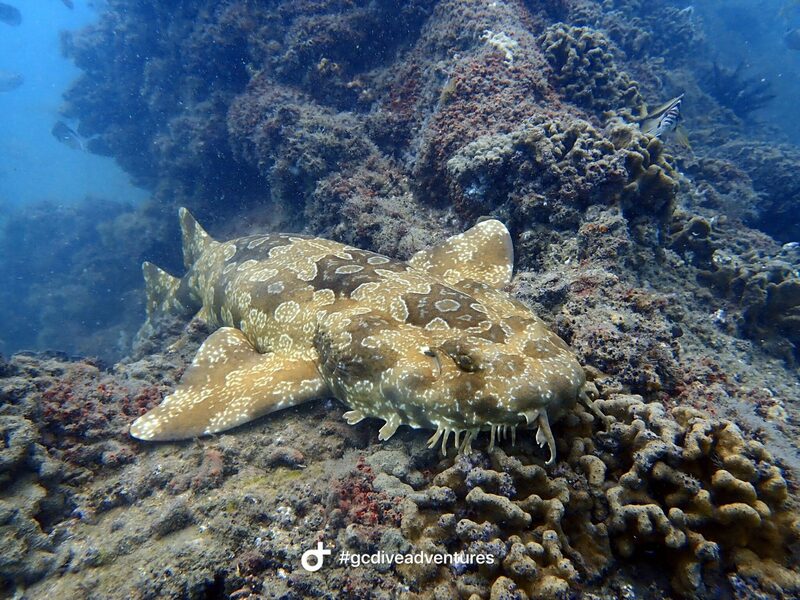 We are the only operator on the Gold Coast that offers frequent day dive trips to all sites. Most sites are within the Open Water Range between 8m and 18m of depth. There are many sites to explore. 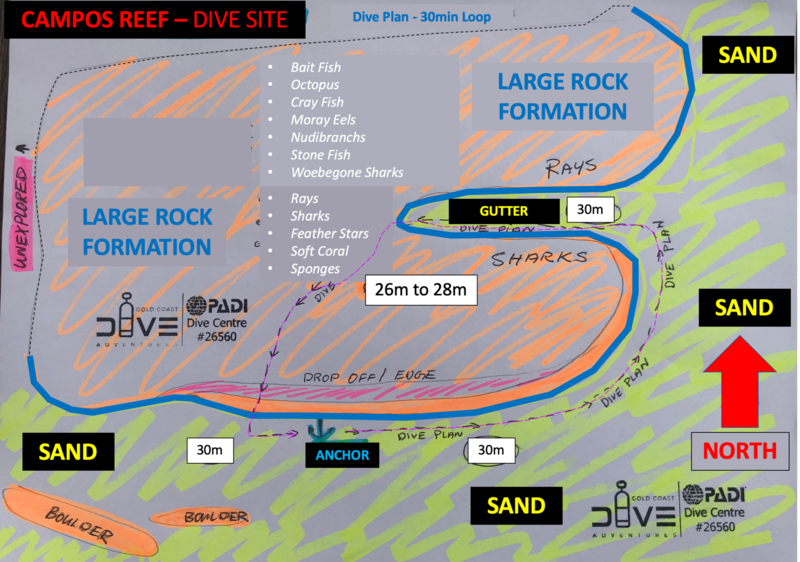 Click on the links below for detailed dive site information, dive site maps and video clips. We are continuously adding more information to this site. If you have some great pictures or video footage of one of these sites, then we would love to hear from you. We are aware that we have not yet captured all dive sites. We are working on it!! Finally, please note that the maps provided are for general information only. The little red dots might be purposely not quite placed at the actual location in order to keep a little secret to ourselves ;-). This is our favourite dive site that never dissapoints. Visit our Facebook Fan Page for some great footage and videos. On 3 February 1887, under the command of William Little, the Scottish Prince was proceeding northward along the east coast on the final stages of a voyage from Glasgow to Brisbane. At 11:40pm the master left the deck, leaving the second mate in charge who had never sailed these waters before. Shortly after midnight the vessel ran aground. Several unsuccessful attempts were made by the steamers Tweed, Otter and Gunga to tow the Scottish Prince off the bar. Within a few days, as south-easterly weather conditions deteriorated, the vessel keeled over and was abandoned. Over the following weeks the decks opened up allowing cases of cargo including sewing machines, drapery, whiskey, beer and mineral waters to be washed ashore. This information was extracted from the Dive Guide, published by Department of Environment and Heritage Protection. Click here to read our latest blog post about diving the Scottish Prince wreck. The Scottish Prince’s underwater superstructure lies in about 10m of water and is a habitat which provides food and shelter for a variety of marine life including sponges, corals, pelagic and reef fish, rays, octopus and wobbegong sharks. The bow of the iron hull is pointing towards the shore and is broken into three main sections. The bow and stern are both reasonably intact; however the side plates and decks have collapsed. In Australia, all shipwrecks and their associated relics that are older than 75 years are protected by law. Don’t touch and take anything. Take photos and leave bubbles. If you like to find out more about Palm Beach Reef, make sure you read our blog. 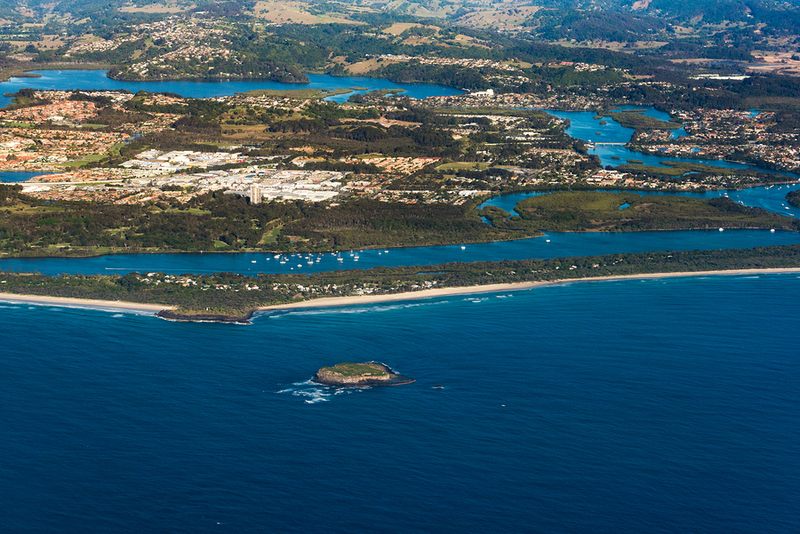 Click here to read our latest blog post about the Gold Coast’s largest Reef System. 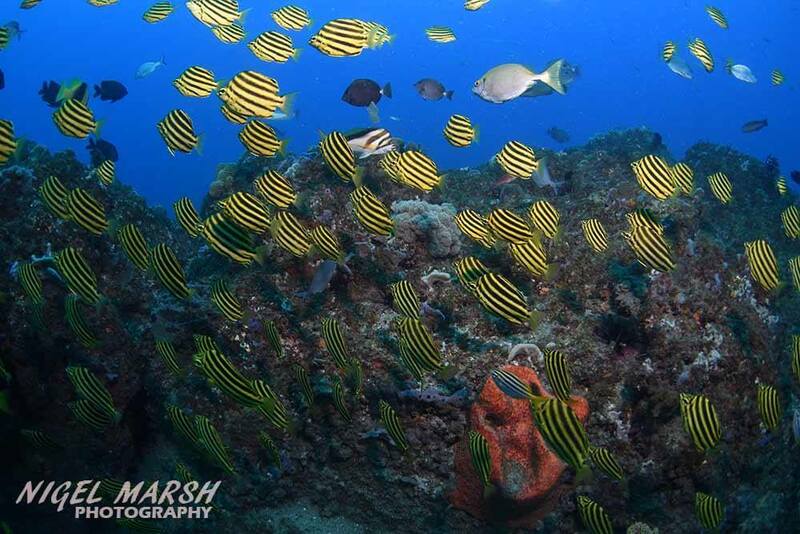 This beautiful large dive site is located right in between the Scottish Prince Shipwreck and Greta’s Reef in close proximity to the Gold Coast Seaway entrance. It is about 200m in length and 150m wide. 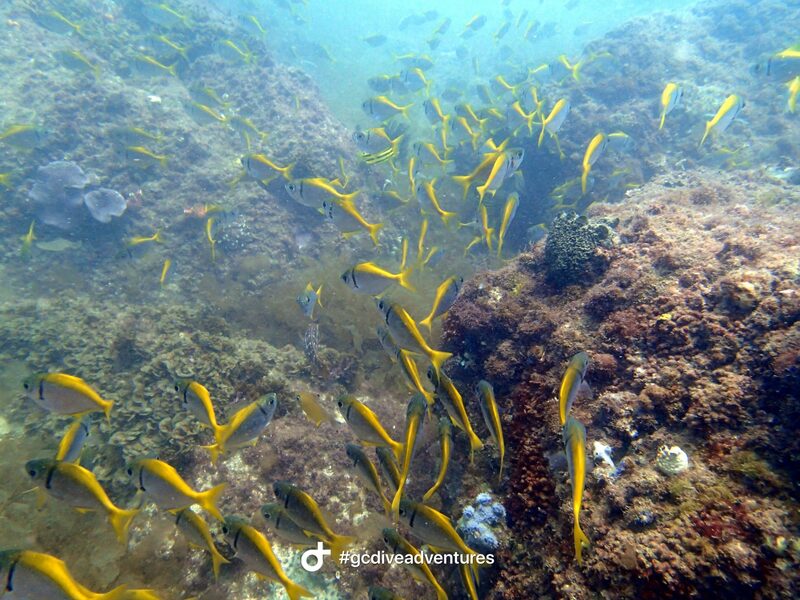 The rocky reef is about 17-18m deep and consists of boulders and bommies with sandy patches separating them. There are 2 sections, the large main area and a smaller isolated section to the east separated by sand. The marine life is diversified and includes huge amounts of small fish, coral, lots of wobbies, rays, nudis, murals, turtles and so much more. The area is known for passing dolphins and sharks hence, a surprise once-in-a-lifetime encounter could be on the cards for the lucky one’s. This dive site was only recently discovered in 2017 by local divers of The Scuba Coach. Before this, the site was not known as a fishing spot nor marked on any map. Some local fishos claim however to have known the spot before ;-). Some weeks of consultation in between the divers concluded with the name Migaloo Reef in honour of our white whale friend. Click here to read our latest blog post about Migaloo Reef. 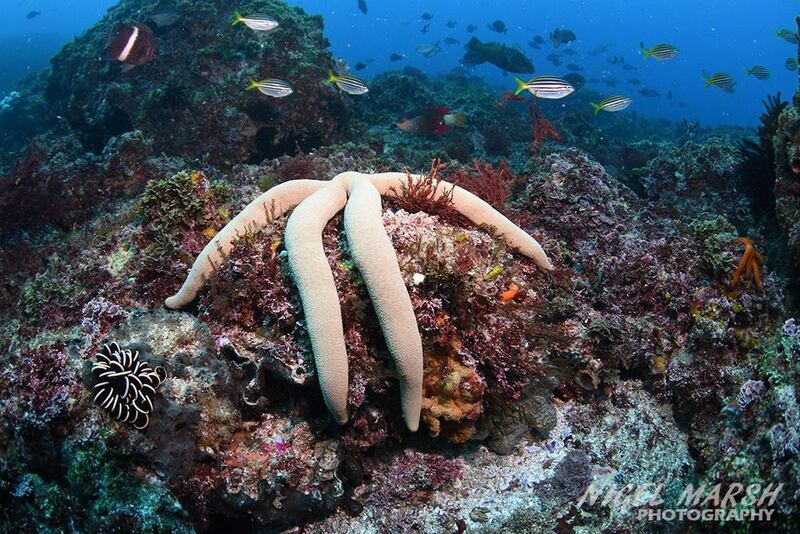 Mermaid Reef is a large dive sites that extends over several hundred meters. The reef consists mainly of coffee rock and is broken up into several sections. 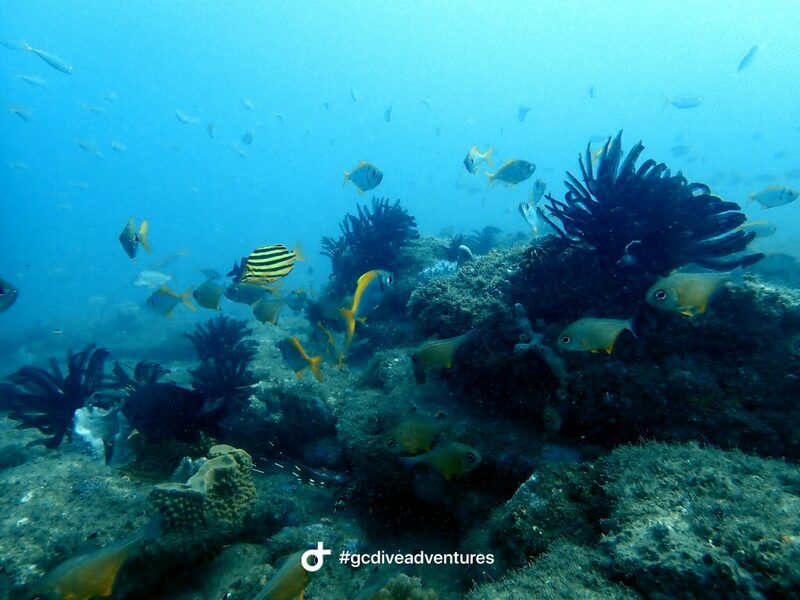 The largest section in the centre offers a great playground with lots of marine life. The depth is between 18m and 21m. The reef is about 15min boat ride south off the Gold Coast Seaway Entrance and often provides the best visibility out of all other reefs. 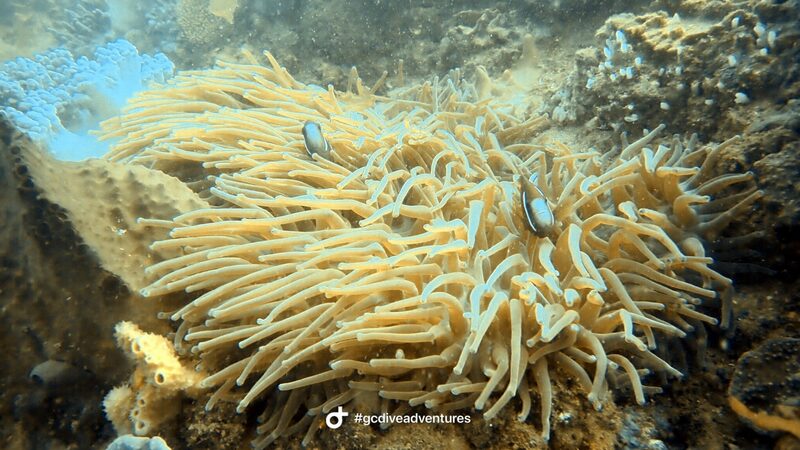 The marine life is similar to our other reef however, Mermaid does give you a different feel. We are still mapping this site and hope to publish a dive site map soon! This hidden treasure is not far from the Gold Coast Seaway entrance and lies in about 16m to 20m of water. The site consists of several long boulders that run parallel to each other and several small to large colorful bommies. The sand (bottom) has a depth of 20m however, the boulders and bommies raise up to 16m hence, the site is suitable for Open Water Divers. 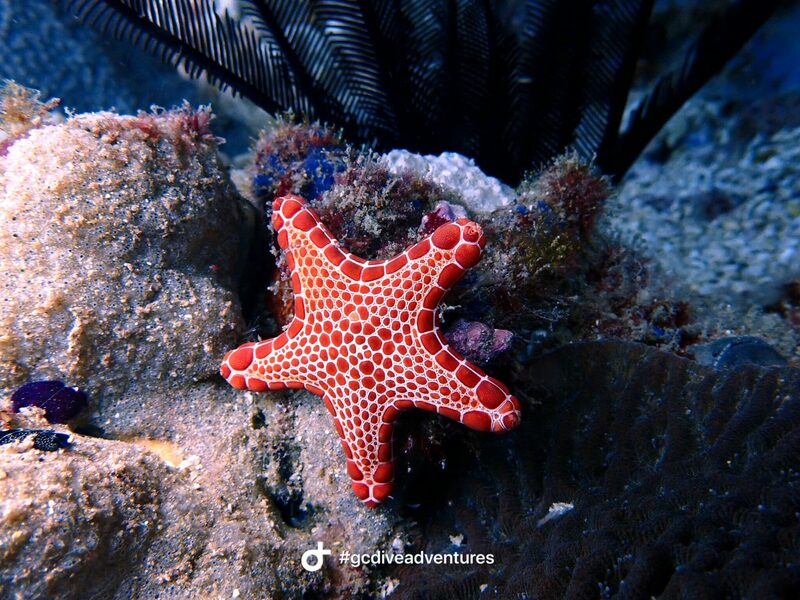 The rocky reef has a variety of marine life including nudibranchs, feather stars, flat head, sole, moray eels, lion fish, hobbies, zebra lion fish and much more. Feeding dolphins and sharks are frequently seen at this site. Watch the little video that captured 2 dolphins feeding on the reef. To find out more, click here to read our latest blog post about Greta’s Reef. Campos Reef is our deep diving site. 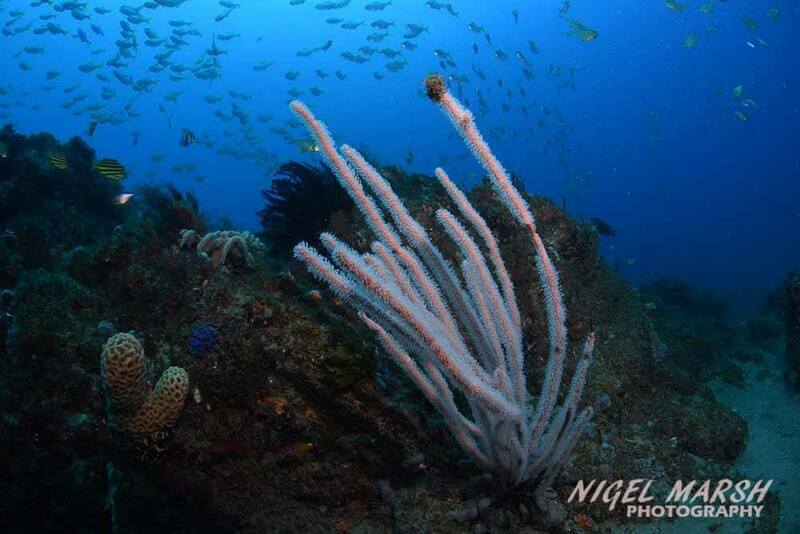 The coffee rock reef reaches a depth of up to 30m and consists of a huge rock formation. The topography is very different to our other reefs. We have published a blog post about this site which provides you comprehensive information including a recommended dive plan. Click here to read more. 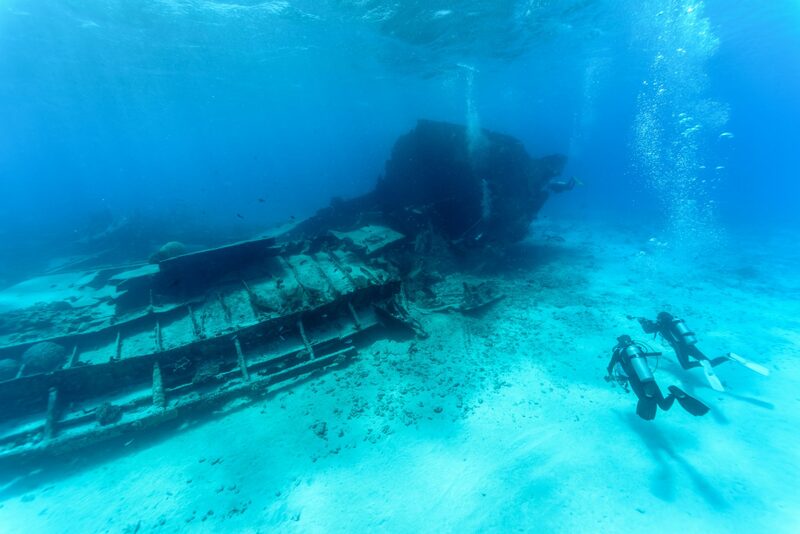 This site is one of the most mysterious dive sites. Consisting of scattered rocky outcrops covered in kelp fronds, there are scores of hidden gems throughout the reef. 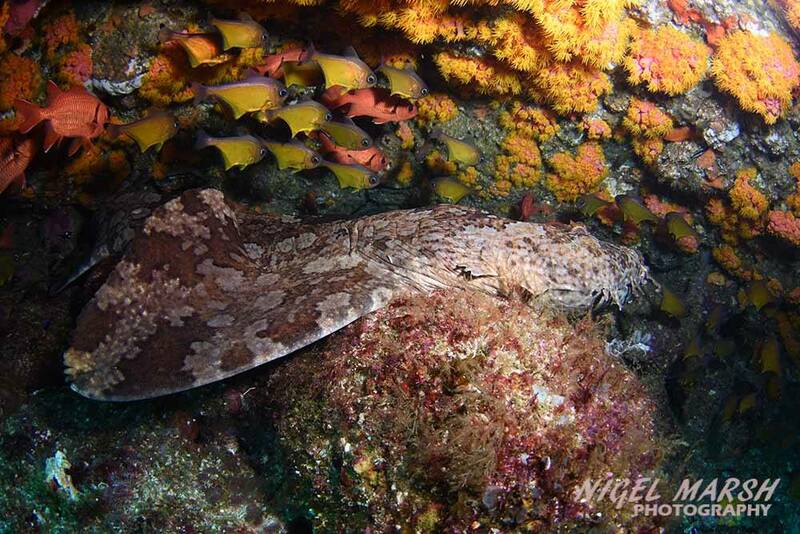 Drift from rock to rock and you’ll find marine life everywhere, with morays hiding in the most unexpected places. Kirra Reef is an ideal spot for following the smaller species and macro life, discovering the beauty of their marine ecosystem. Porcupine fish and wobbegongs are common, as well as smaller colourful creatures like nudibranchs and flatworms. Wave Break Island – excellent for snorkelling, intro and learn to dive. The video below shows a dive along the submerged sand pipeline. Access to the water is easy due to newly build diver access stairs. This man-made island within the Gold Coast Seaway offers protection from the ocean swells and shallow depth which make it ideal for snorkelling and introductory diving. 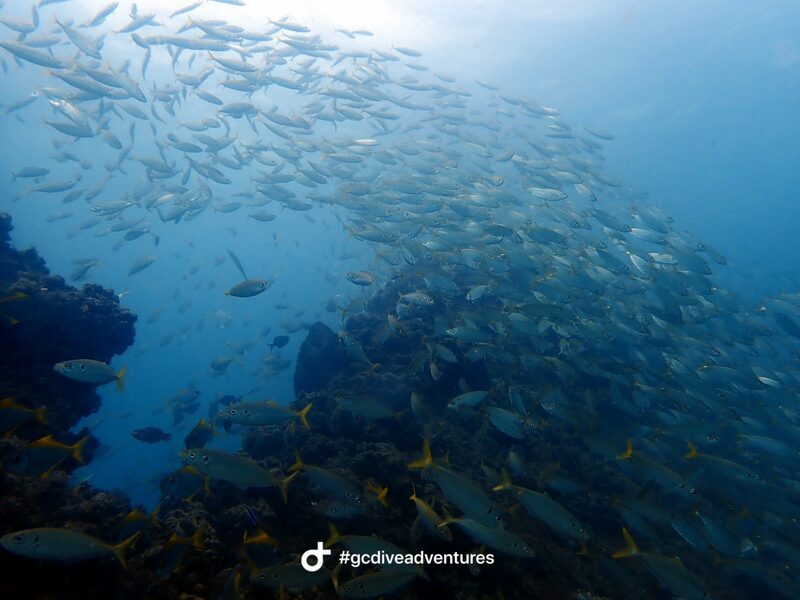 The northern rock wall offers huge amounts of small fish which are used to being fed by the various dive operators, visiting the island everyday. 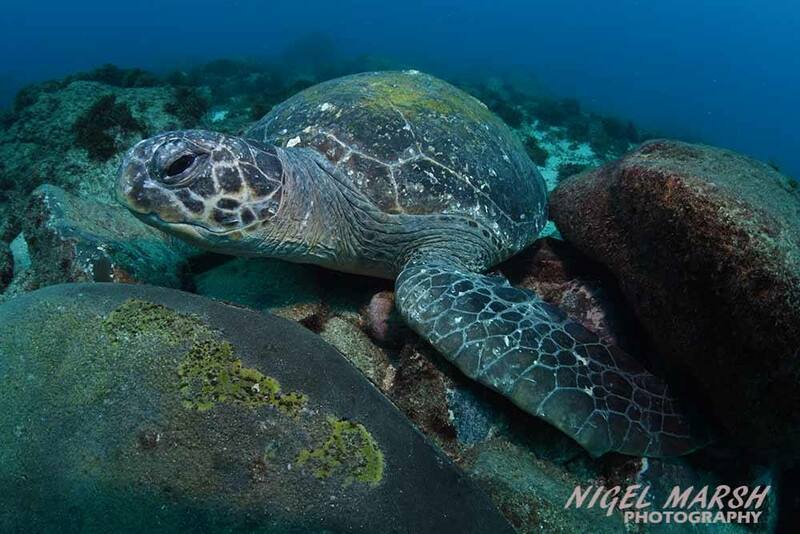 The site is tidal and preferably dived at high tide but dives at low tide are possible as well. The diving window is approximately up to 2.5h after high tide. The depth ranges from 0m at the beach to about 12m with an average of 4m. This dive sites is one of the deeper ones around the 20m mark. The plant looks like a giant UFO that landed on the ocean floor. It forms a brilliant artificial reef for all sorts of marine life. We are still working on the content for this site. Come back later to check it out or contribute some pictures to us! 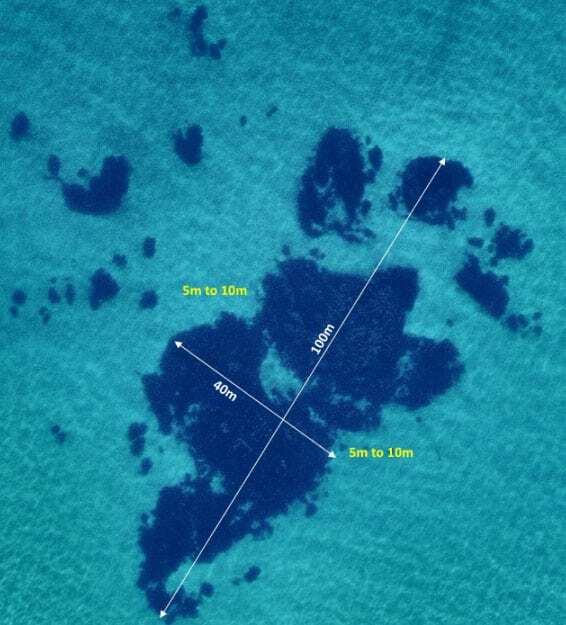 The wreck of the Aquarian lays in about 14m of water off South Stradbroke Island. It is currently fully exposed but there have been times where the wreck was almost completly covered in sand. On 1st of May 1986, Malcolm Taylor, an experienced fisherman and skipper tragically lost his life during the sinking of the fishing trawler. The Seaway Tower wasn’t build at this time but its construction was instigated by Malcom’s brother Bruce, hence what all locals know as the Seaway Tower is formally called the ‘Malcolm Taylor Tower’. 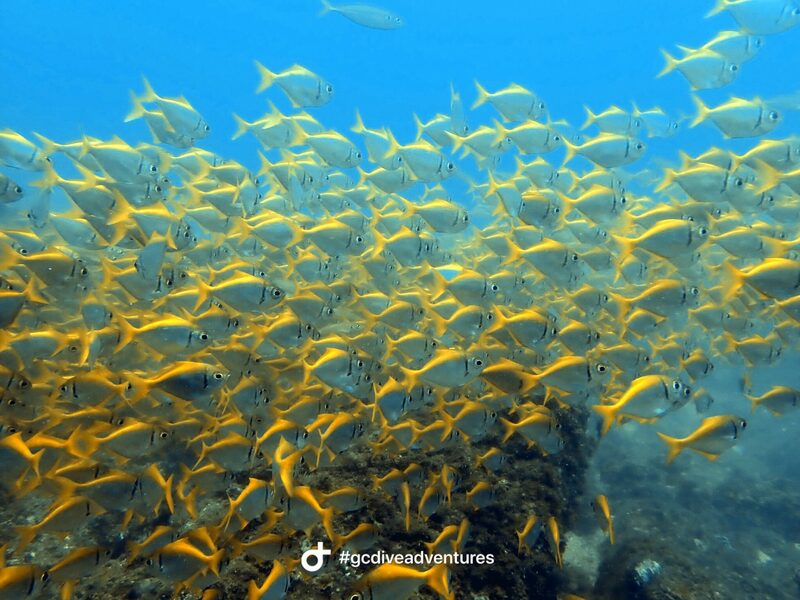 Gold Coast Dive Adventures holds a Morton Bay Marine Parks Permit that allows us to scuba dive within the marine parks boundaries. Therefore, we are able to visit many wrecks offshore from South Stradbroke Island including the Aquarian. Gold Coast Dive Adventures holds a Morton Bay Marine Parks Permit that allows us to scuba dive within the marine parks boundaries. Therefore, we are able to visit many wrecks offshore from South Stradbroke Island including the ‘Sea Dragon’. We are still in the process of exploring this magnificent dive site and will provide descriptions in the near future however, we can already tell that this site will be an advanced dive due to its depth. We will schedule some trips as soon as we feel that we have sufficient knowledge about the site and can adequately ensure your safety. Stay tuned – more details coming soon!! Cook Island Marine Park is an official aquatic reserve, just off the coast of Fingal Heads in New South Whales. The large exposed island is surrounded by mornings and is know as Turtle Island due to the enormous turtle population. Cook Island has a large selection of marine life to offer including soft and hard coral, sharks, tropical fish, manta rays and leopard sharks in summer. Read our blog for comprehensive information about the island. Cook Island is not one of our regular sites. 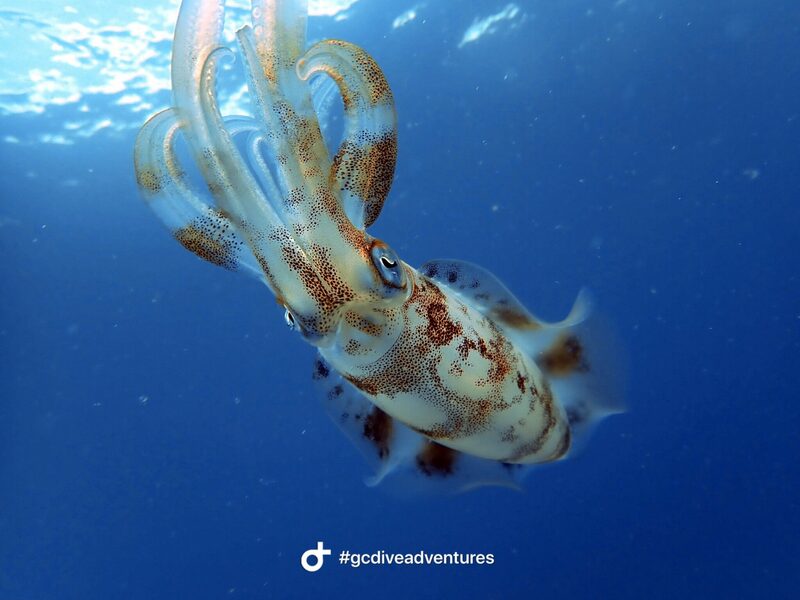 Gold Coast Dive Adventures conducts social day trips to Cook Island. It is also a fantastic backup dive site on days where visibility is low on other sites in which case we bus our divers to Tweed Heads. Click here to read more about Cook Island. 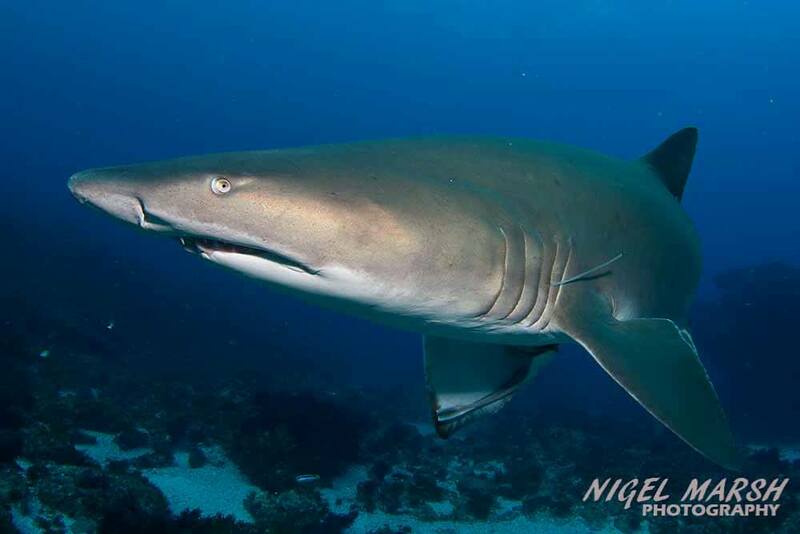 Nine Mile Reef is located off the Tweed Coast and an advanced dive. Due to the presence of current most of the time, the dive is often a drift dive with a free decent and accent including blue water safety stops. 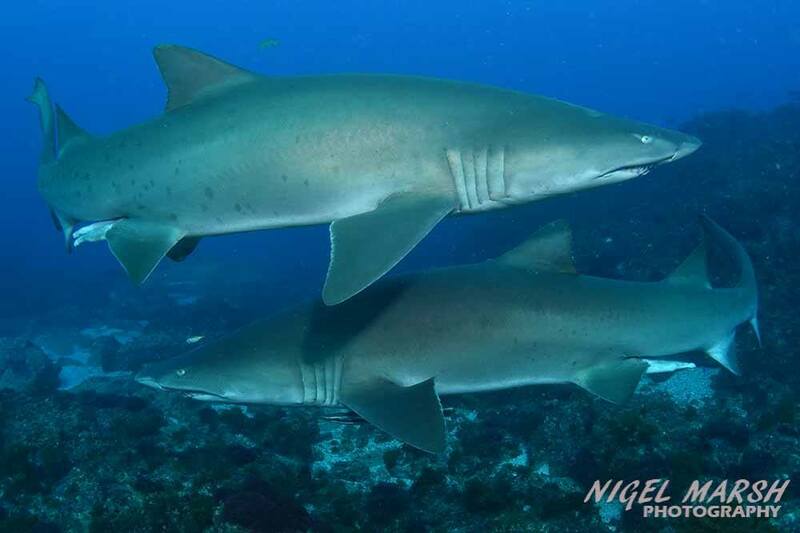 9 Mile Reef is a hot spot for Grey Nurse Sharks during the winter months so absolutely worth the effort to get there. Conditions can be tricky however with Cook Island being just down the road, there is always a backup plan. 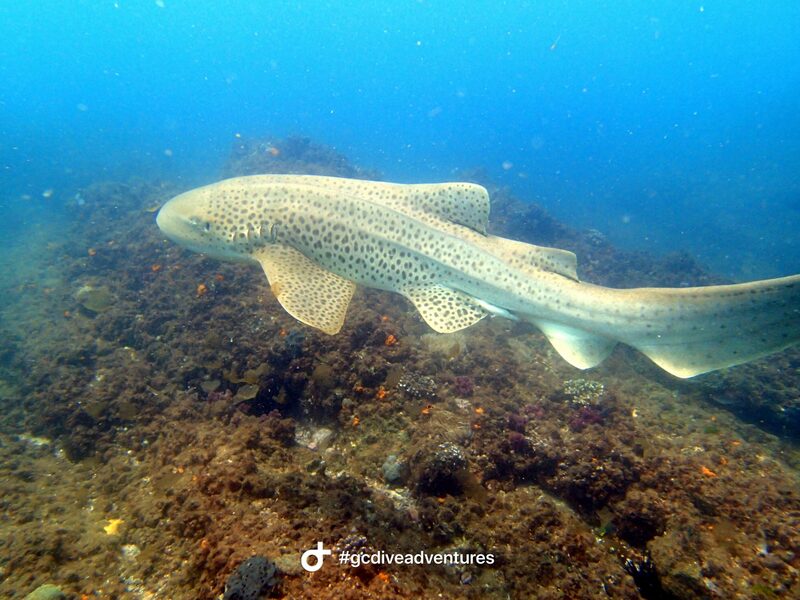 Gold Coast Dive Adventures only offers advanced dive trips to 9 mile reef during the winter months. 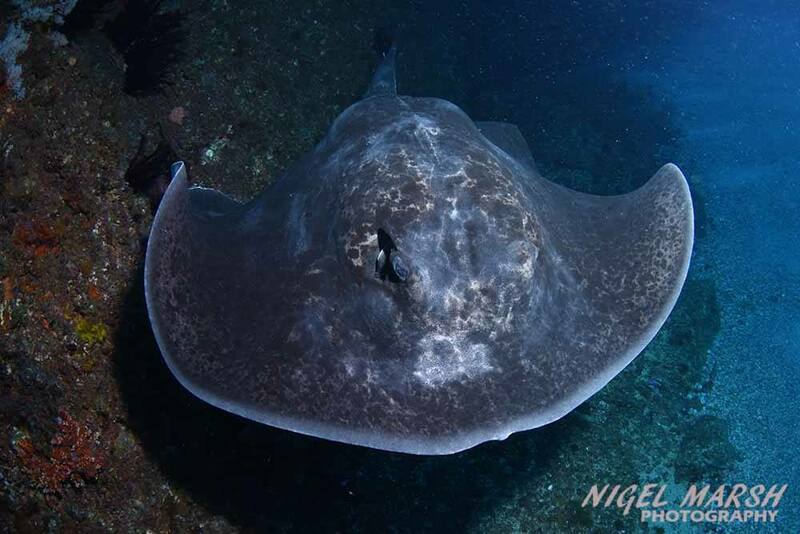 9 Mile Reef is also home to Bull Rays, even passing Humpback Whales have been captured on camera by some lucky divers!